On a 5-day whirlwind trip to South Carolina, we hit the historic cities of Columbia, Florence, Myrtle Beach, and Charleston. Our goal was to explore the food in South Carolina, or at least, get an introduction to Southern food and the local food culture. It was our first time visiting South Carolina, and we were excited. While we have traveled extensively in the U.S., visiting more than 30 states, we had never set foot in South Carolina. 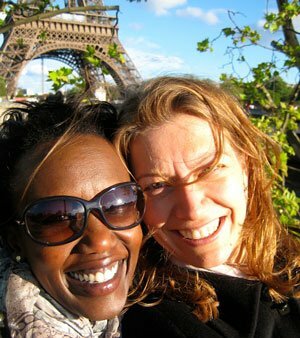 Raised in Kenya and Claire, originally from France, our impressions of South Carolina were largely based on what we had heard. 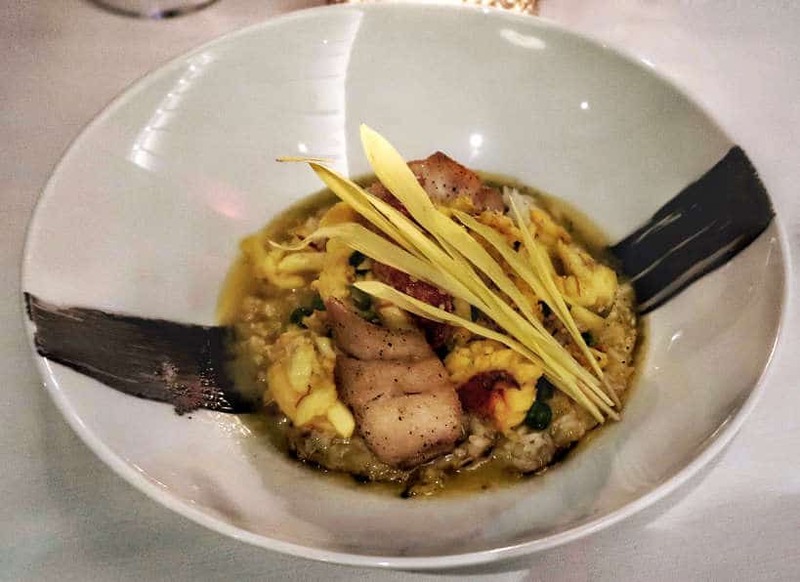 The food in Charleston is what people talked about the most about and we couldn’t wait to savor the culturally rich cuisine. 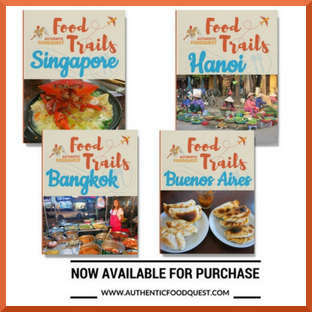 One of the things we love about traveling the world and exploring the local flavors, are the connections we make through food. 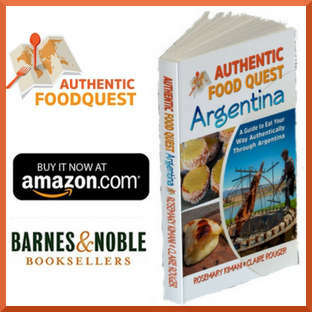 Meeting the people and understanding the history behind the food, makes for a deeper culinary experience. 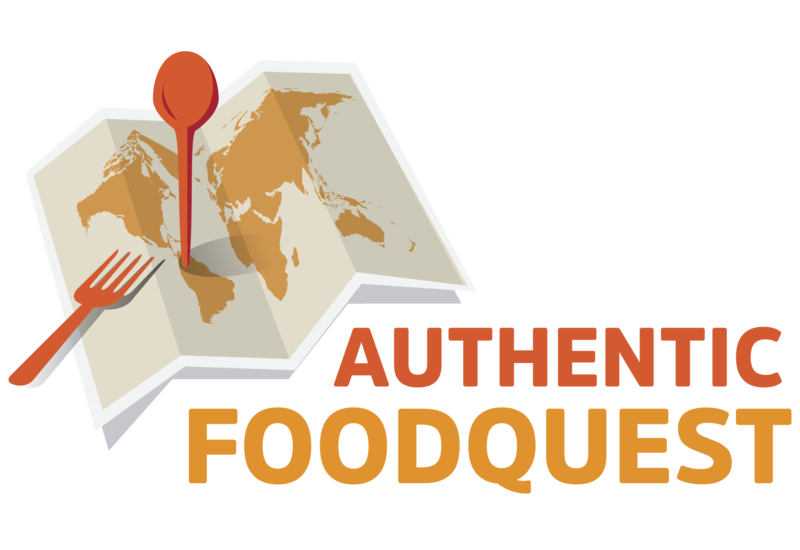 Open and in anticipation, we journeyed South in search of the food that defines the region. 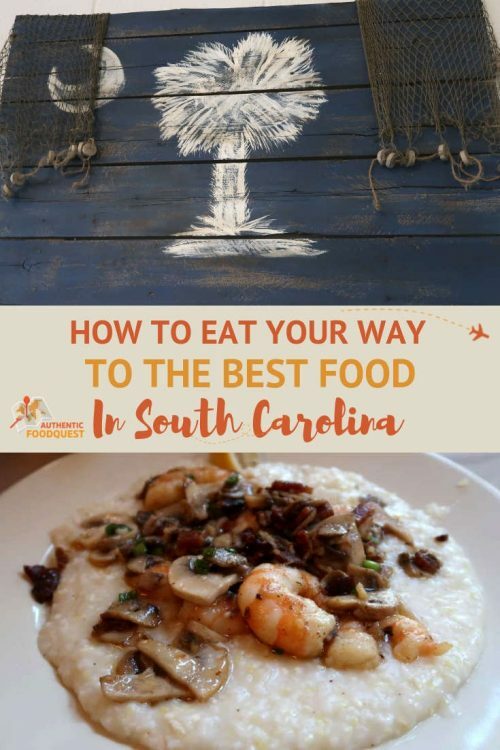 If your travels take you to the area, use this as a guide to help you find the best food in South Carolina. In many ways, Columbia surprised us. We were in a capital city and it felt like a capital city. Here we were in the deep south in awe of the antebellum architecture and Columbia’s majestic Statehouse. Over breakfast at Blue Flour Bakery on Main Street, we sat down with the affable John Sherrer, from Historic Columbia and author of Remembering Columbia. Columbia, the first planned city in the United States, the seat of government, was a wealthy city built on an economy forged by slavery. Over the years, Columbians from all walks of life would work together to transform their city. 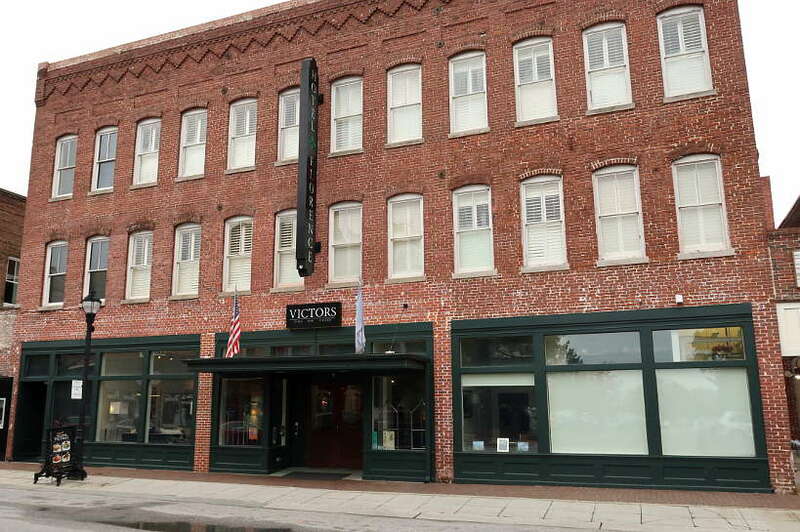 “Main Street,” John said, “was an example of the revitalization efforts in Columbia.” With his colleague, Anna Kate Twitty, who later joined us, the discussion was animated about the future potential for the city. Old buildings being adapted for the use as restaurants, stores, and coffee shops were examples of the new energy flowing through. The affordable cost of living and abundance of outdoor activities, they told us, attracts young people and keeps them in Columbia. In fact, earlier this year, CNBC rated Columbia, South Carolina, the second most attractive city to millennials, behind Seattle. Understanding the local food scene was our primary focus. And by understanding the evolution of the city, we were able to place the burgeoning food scene in context. The night before, on our way to Motor Supply Co. Bistro, in the Congaree Vista district, we were impressed by the number of restaurants and energetic vibe. It felt like we could have been in a dining and entertainment district of any major US city. While we didn’t spend an extended amount of time in the city, the one thing that struck us was the local farm-to-table movement. At the restaurant, chef Wesley Fulmer, talked about cooking with locally sourced ingredients. 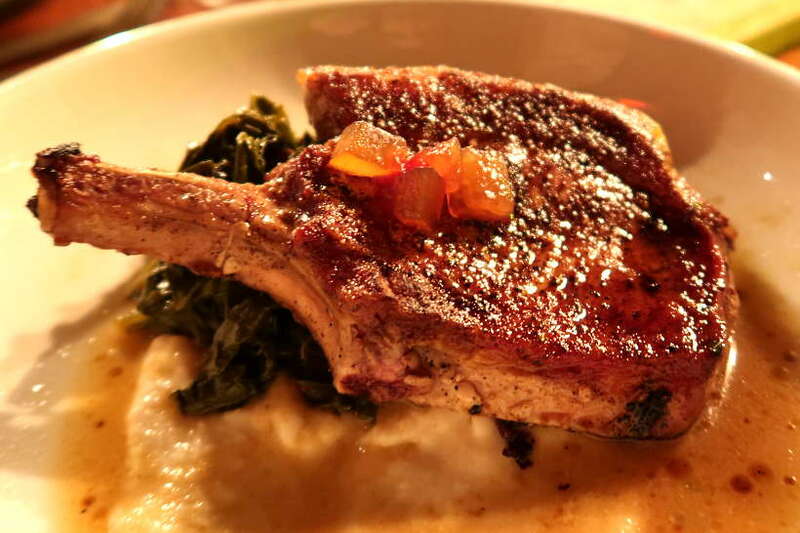 The bone-in-pork chop, a local favorite on the menu is an example of a dish that typifies his cooking philosophy as well as Southern food. Claire enjoyed the delectable Lady Edison Bone-In Pork Chop on the menu that evening. It was served with turnip puree, cider braised kale greens and a side of preserved watermelon. With each bite, she savored the flavors of the South, appreciating the fresh and fine ingredients. I recall thinking how pleasantly surprised I was. While I didn’t have any expectations of Columbia, I was thrilled to find a buzzing city where high-quality food and ingredients are prized. From Columbia, our culinary journey continued to Florence, a charming Southern belle city about 1.5 hours aways. Nestled near the Great Pee Dee River, one of the major rivers of North and South Carolina, this area is known for agricultural farmlands and abundant fish and seafood. With the Great Pee Dee River and later as an intersection of three major rail lines, Florence was an important transportation hub. We learned that during the Civil War, Florence was a major rail center for the movement and men and military supplies. Located about halfway between New York City and Miami, on the intersections of 1-95 and 1-20, Florence charms visitors from the eastern corridor and beyond. We didn’t know what to expect of Florence and were immediately drawn to its architecture. Stunning red brick buildings, one or two story high, flank each side of the street. We were surprised to find a dynamic local food scene in Florence. 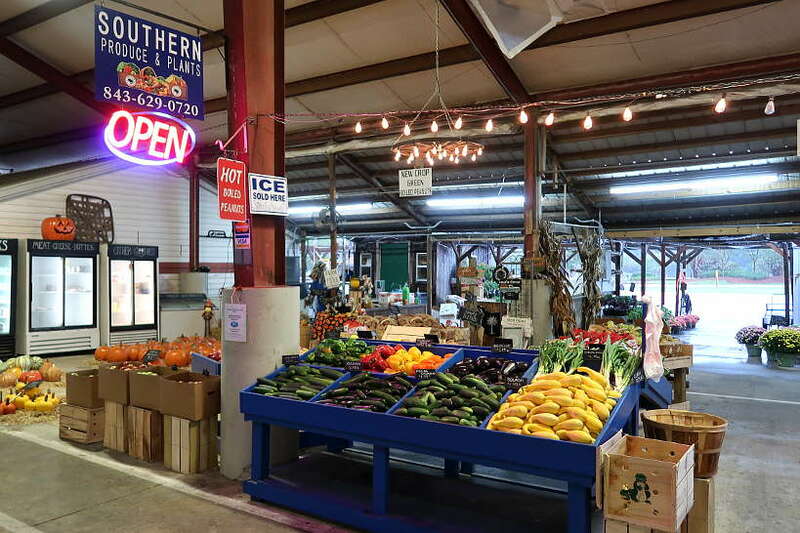 There is the Pee Dee State Farmers market, a drive-in market set on 55 acres. Downtown Florence has a thriving restaurant scene, And, the town hosts the South Carolina Pecan Festival along with a dedicated South Carolina Pecan Trail, celebrating pecans, part of the town’s heritage. 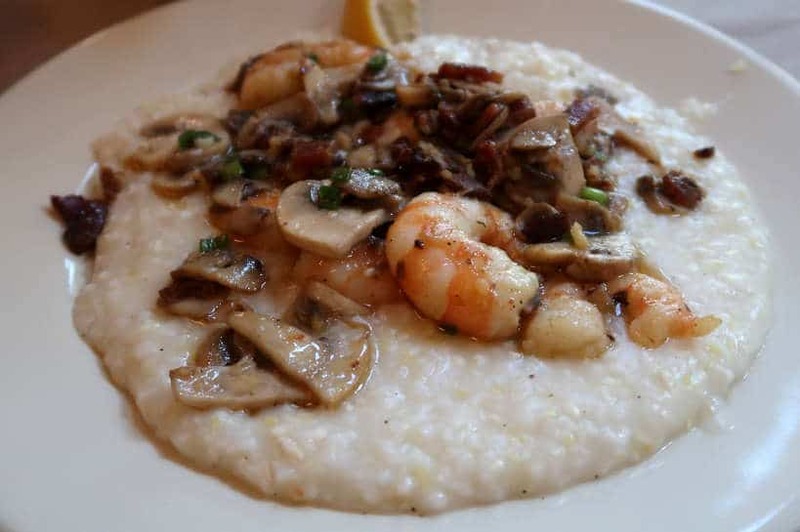 One dish we had heard about but had not yet eaten was shrimp & grits, one of the most popular foods in South Carolina. We made it our mission in Florence, to dig into this classic Southern food. Tubb’s Shrimp & Fish, known for Southern and Lowcountry-style cuisine, was our first stop in Florence. As we pulled into the old converted gas station, we already knew what we’d have. Welcomed warmly by Kyle one of the co-owners, we sat down at the simple table lined with plastic checkered table cloths. With the specialties of fish, seafood and local ingredients, our choices were simple. I had a platter of fresh fish and seafood accompanied by traditional Southern sides. The star dish, however, was Claire’s shrimp & grits. Shrimp & grits are one of South Carolina’s iconic dishes. Flavorful shrimp from the salt creeks of the Lowcountry ladled over creamy, buttered grits. We quickly learned that there are as many iterations of shrimp & grits as there are chefs and home cooks. Some are mild, while others raise the heat with peppers and hot sauce. Not surprisingly, Tubb’s has their own version. In their soulful southern style of cooking, their twist to shrimp & grits contains shrimp etouffee, andouille sausage and house cured bacon lardons. As we savored the deep and contrasted flavors, Kyle stopped by to talk about the dish. Freshly caught fish and seafood, home cured pork and local ingredients, punctuated the discussion. As we had observed in Columbia, a keen importance on the use of local products and an obsession with the highest quality produce, seafood and meats. Our first shrimp & grits at Tubbs - filling and delightful! The sandy shores of Myrtle Beach, about one hour away from Florence was our next stop. We drove in anticipation of discovering the beautiful coastline and the local food. Along the Atlantic coastline, the 60 miles of stunning beaches are referred to as the “Grand Strand.” This area is home to 14 distinct communities and our trip took us to Murrells Inlet, a fishing village and Myrtle Beach, the heart of the Grand Strand. A popular vacation spot, Myrtle Beach offers beaches, golf courses, fishing, outdoor activities and shopping for family members of all ages. Visiting in the Fall (October), we enjoyed a calm walk along the boardwalk. Ziplines, mini golf courses, and t-shirt stores were quiet, allowing us to fully appreciate the beauty of the Atlantic ocean. With the proximity to the Atlantic ocean, seafood which is popular in Myrtle Beach was naturally on our radar. One of the restaurants we were most excited about was Hook & Barrel, owned by Heidi Vukov, one of the 2018 South Carolina Chef Ambassadors. 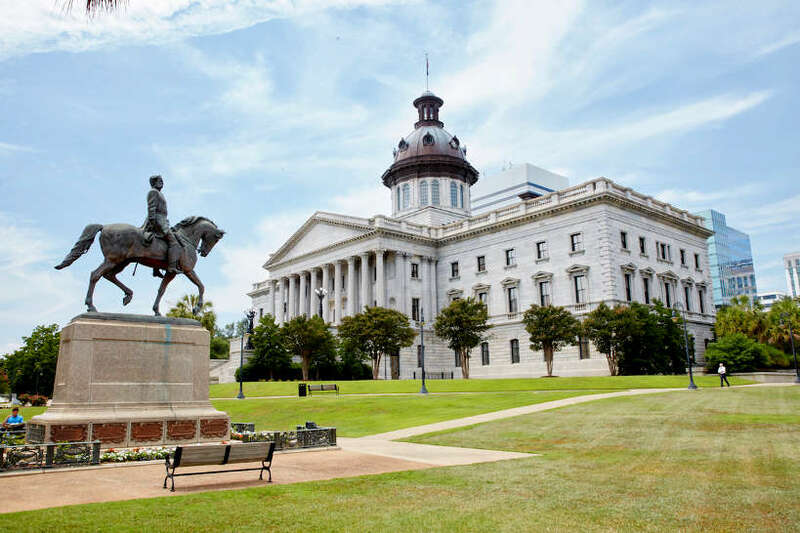 South Carolina Chef Ambassadors, have the distinguished role of telling the remarkable story of South Carolina’s food heritage through cooking demonstrations, educational activities and the dishes they create in their own restaurants. Seated across the open “Steam Gallery”, we watched as two chefs worked harmoniously to prepare some of the seafood dishes. In this area, mussels are shucked and chilled. Shrimp cocktail appetizers and seafood towers are assembled. And, the oyster stew and popular Charleston She Crab Soup are prepared here. With a keen focus on seafood, we ordered starters and items from the steam gallery. 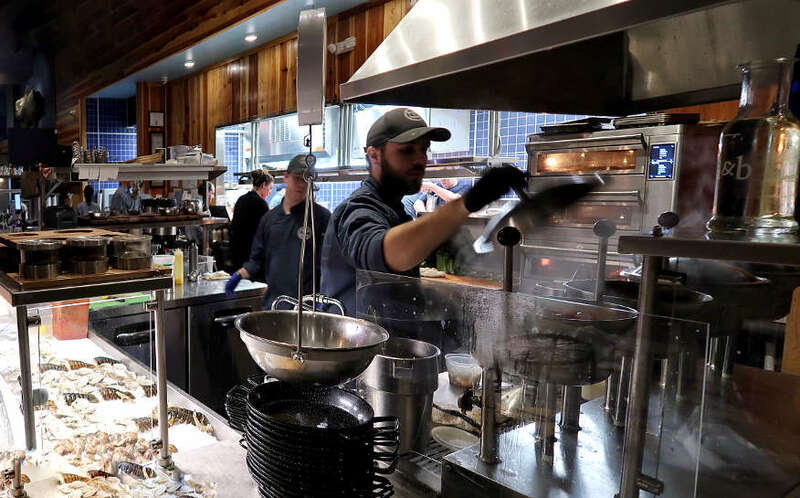 From fresh oysters to crab cake sliders, oyster stew, She Crab soup, and fish bites, we savored the sweet flavors of local and sustainable seafood. Our conversation with Ben as we enjoyed the meal, further underscored the restaurant’s commitment to sustainability. Sourcing the best sustainably raised fish and seafood is their mission. Just as we noted in Columbia, we saw a similar pattern emerge around fish and seafood. Both Ben in Myrtle Beach and Kyle in Florence talked passionately about offering the finest products sourced from local waters. We began to see South Carolina in a new way. A state that takes great pride in bringing the flavors of the land and sea sustainably to your table. 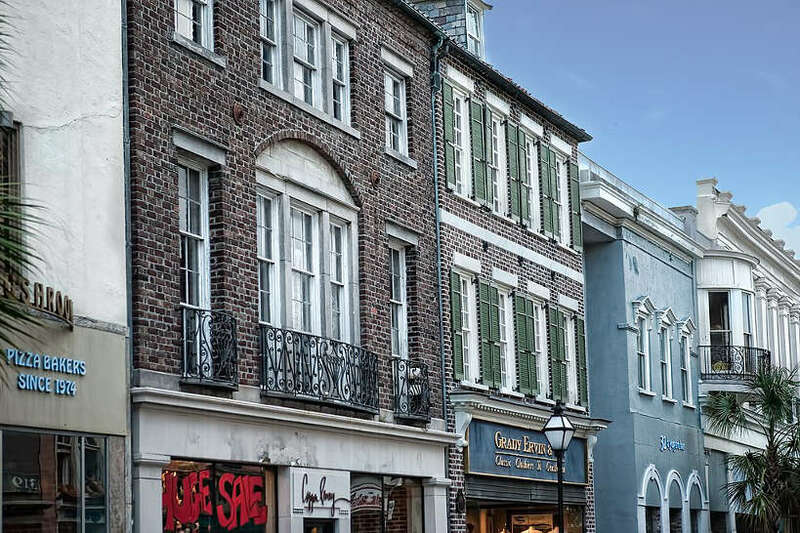 As food travelers, Charleston had always been a city we’ve wanted to visit. Named one of America’s top food cities, by multiple rankings, several years in a row, we were excited to see what the city had to offer. Even though our time was short in the Holy City, we were immediately seduced by the city’s charm and the countless restaurants and eateries. Taking in the ocean breeze and the mild October temperatures, we enjoyed walking along, King Street, the main drag, promising ourselves to come back again. Even with a limited view of the local food scene, we experienced, again, the use and respect for local and heirloom ingredients. At Revival Restaurant, chef Forrest Parker often considered an “agricultural archeologist”, shared his passion for the culturally rich Lowcountry cuisine. Deeply knowledgeable about South Carolina’s culinary roots, our discussion was rich. As were the flavors of the heritage and previously extinct ingredients like Nostrale and Carolina Gold Pegao rice. Chef Parker works with local farmers to grow heirloom foods, some of which date back to the establishment of the Carolina colony. His commitment to revival ancient ingredients and recipes are similar to the work taking place at Rosewood Luang Prabang, Laos with Sebastien Rubis, the Culinary Director. With innovative dishes combined with a deep understanding of South Carolina’s culinary roots, we left with a taste of what “South Carolina once was.”. 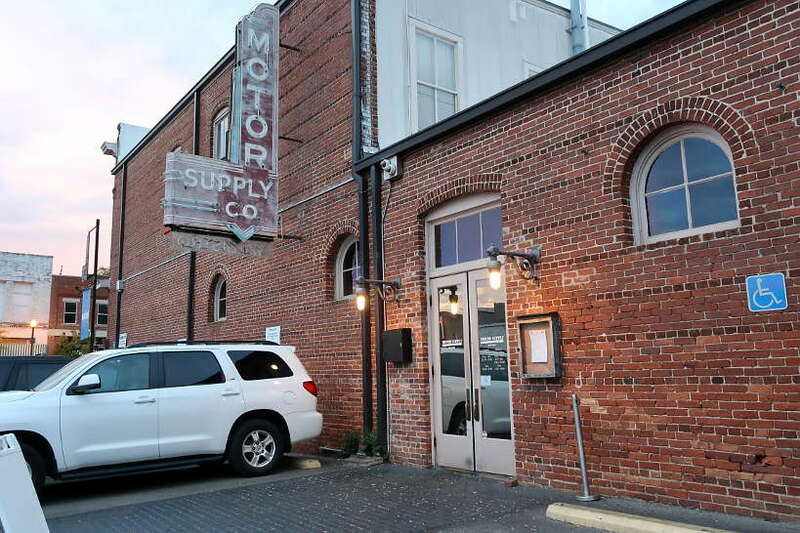 The next morning, at Hominy Grill, one of Charleston’s beloved institutions, the discussion around Southern specialties, sourced locally and cooked innovatively continued. This time our breakfast companion was Nathalie Dupree, the Queen of Southern Cuisine. She’s an award-winning author of 14 cookbooks about the American South. As we made our breakfast selection, Nathalie took great pride in pointing us to some of her best South Carolina foods. We had fried chicken livers, fried okra, Southern biscuits, shrimp & grits, and buttermilk pie. Nathalie’s warmth and approachability took our breakfast conversation almost into lunch. Southern specialties and locally grown produce once again dominated the conversation. By this time, at our last stop in South Carolina, the pattern was clear. This was a state that has a tremendous appreciation for farm-to-table freshness. 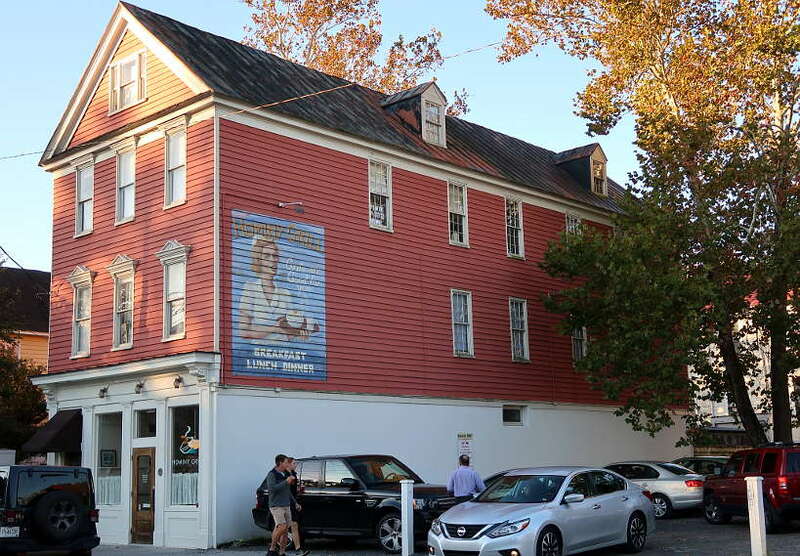 Even though Charleston is the best-known food city in the state, the movement extends beyond. For two non-U.S.natives, the trip through South Carolina was more than a culinary experience, it was a journey through time. As with all cultures, the food in South Carolina is a reflection of its history. We learned that South Carolina’s past, underpinned by enslavement, gives its food that much more depth. In iconic dishes like shrimp & grits, you taste the layers of the past in every bite. In forthcoming articles, we’ll be sharing more about our food experiences in South Carolina and the conversations with the people behind the food. Stay tuned! Have you been to South Carolina before? In the comments below, tell us what was your best food in South Carolina. 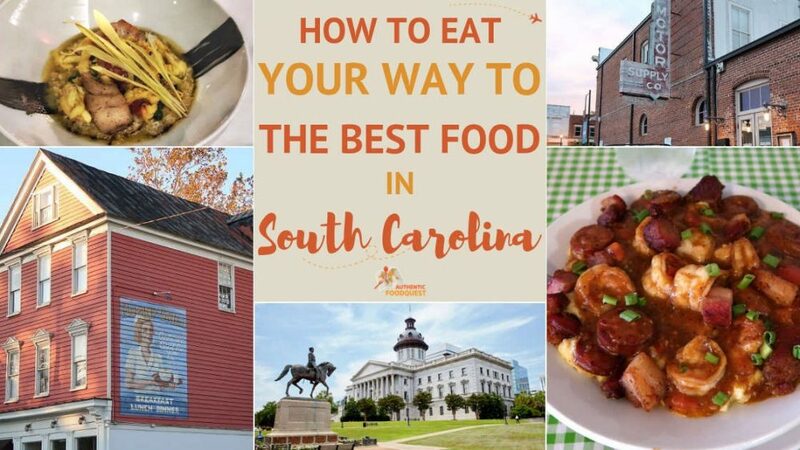 This is a great guide to eat your way through South Carolina. My mouth is watering by reading about all the dishes mentioned here! So glad you enjoyed the article. The food in South Carolina is incredible. Rich flavors, farm to table ingredients, and made with love. Are there any dishes that stood out to you? Thanks for stopping by. I am SUPER digging how Farm-to-Table and sustainability are becoming more and more the norm in the U.S! I’ve never been to South Carolina, but every single one of these restaurants seemed to make my mouth water. Even for a non-seafood-eater like myself the shrimp and grits looked delicious! Your pictures of everything are lovely and I really hope to get the chance to eat at some of these places soon! Thank you so much Amanda. So glad you enjoyed the article. We were just as surprised (pleasantly) to find a huge farm-to-table movement. You truly can’t go wrong at any of the restaurants mentioned. Look out for more articles soon to guide your food travels to South Carolina. Glad you like the pictures. Cheers. Everything you have posted looks fantastic, but I am really drawn to those shrimp and grits dishes. I have never tried anything like that, but it looks so, soooo good! After all that, do you have a favourite dish in South Carolina? Thanks Josy, and truly food is the best reason to travel 🙂 It is a tough choice to have to pick just “one” favorite South Carolina dish. Everything we had was amazing and culturally rich. It’s all good. If you haven’t been to South Carolina for the food, we highly recommend going. Cheers. I live in Atlanta, Georgia so I’ve been to SC many times. You’re right, the food is incredible! Shrimp and grits is my favorite southern dish by far and the best shrimp and grits I ever had was in Charleston at High Cotton. But I think I might need to take a little trip to Florence to try the dish at Tubb’s! Looks amazing! I absolutely love this list and I’m bookmarking it for future trips! That’s awesome to hear Lauryn that you get to SC often. Tubb’s was such a delight. Everything we had was so full of flavor and fresh. It is a local’s favorite and absolutely worth visiting. Do let us know when you end up going. Thanks for the tip to check out the shrimp and grits at High Cotton. Noting that for our next trip back to Charleston. Thanks for stopping by. I’ve never been to South Carolina, but as usual you make the food there look delicious. I generally have a hard time with Southern food… lots of dairy and fried foods… but there’s always something to try! It was our first time having Southern food as well and it is more than dairy and fried foods. There is so much more variety and richness in the dishes and flavors. You’ll be surprised by the high-quality ingredients and farm to table movement. Really encourage you to try Southern food, again. You’ll be delighted. Thanks, Catherine. Ummm YUM! Love eating my way through EVERY city I visit, so thanks for sharing this! I’m not a huge fan of meat myself (though I’m no vegetarian either) and I never caught onto the whole shrimp and grits thing, but that seafood in Myrtle Beach – I could go for that any way [heart eyes]! That’s the beauty of the food in South Carolina. There are so many flavors and cooking styles. The seafood in Myrtle Beach and across the state is incredibly fresh. You would certainly find seafood dishes all over. Glad you enjoyed the article. I have traveled quite a bit in the US but also haven’t been to SC. I hear Stephen Colbert talk about it frequently as it is his home state and often about the BBQ but there definitely seems to be so much more to the food scene there. Later in the season also looks like a great time to visit Myrtle Beach and avoid the crowds! The seafood looks delicious and I love me a good farmers market! I also love how in each place you talked to locals and got some insight -a good highlight of your post!! Thanks so much, Meggan. So glad you enjoyed the article. Like you, we had never visited South Carolina before and we were delighted to discover the food. The food scene is quite diverse and we’ll be writing more about the dishes in upcoming articles. Meeting locals at every stop made the culinary journey much richer. Hoping you get to visit SC soon. You’ll love the food. Cheers. Those foods look incredible! I always love trying the local produce as well, in my experience it’s the best when you try it at the source 🙂 Thank you for sharing, I’m hungry now! So glad you enjoyed the article, Noraly. Is there any particular dish that makes you hungry? 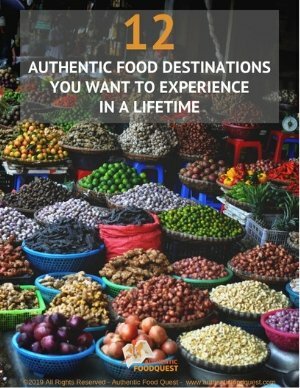 Truly, the best way to explore a region is through food. Thanks for stopping by. Appreciate your feedback, Hayley. For us, going beyond simply “eating” and understanding the people and the food makes for a richer travel experience. It was a fascinating discovery on multiple levels in South Carolina, with the food being the best part about the experience. Glad you enjoyed the article. You are most welcome, Mel. Glad you enjoyed the article. What a sumptuous article. I have visited SC once, and am going back next Spring. Hominy Grill is definitely on my list – I love how Natalie describes the food. The heritage and the mix of cultures and histories that make up the food in the States is such a pull for me. The diversity of it is what makes it fantastic. Can’t wait to get back to SC now! That’s awesome to hear Hannah. I’m guessing you are going to Charleston? If you get a chance to visit other cities, you’ll be in for a treat. Natalie was such a delight and extremely knowledgeable about Southern food. 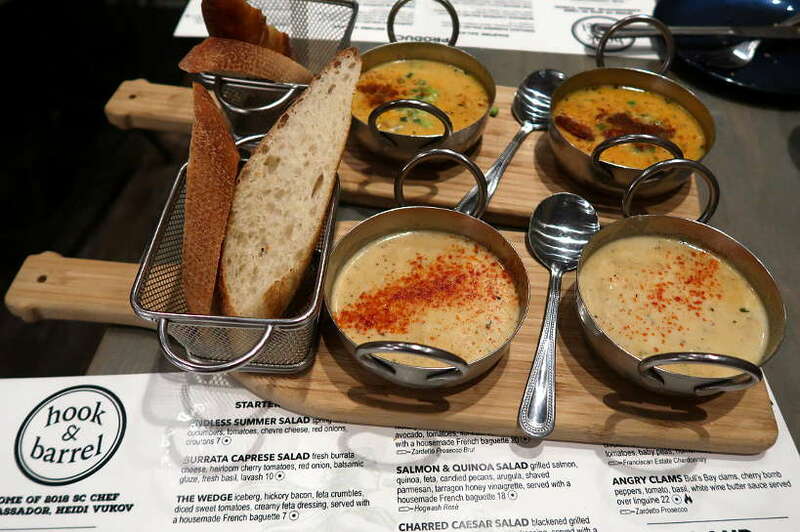 You’ll have a blast at Hominy Grill, so many delicious options to choose from. Get the shrimp and grits, one of our favorites 🙂 Cheers. Aww man, I am salivating over here! I absolutely love fresh seafood – so this all looks so delicious! Gotta get myself to South Carolina! That’s great to hear Riana. The seafood in South Carolina is amazing. Hope your travels take you there soon. Cheers. It’s true. Lowcountry is where I developed my taste for grits which is now one of my 3 regular breakfasts besides congee and oatmeal. And, of course, the shrimps and crabs!!! Wow, that’s interesting to hear grits is now one of your regular breakfast dishes. How do you make it? It was our first time having grits and we were quite delighted. Indeed, the shrimp and crabs are a must in the Palmetto State. Thanks, Carol. You are most welcome, Jim. So glad you enjoyed the article. It was our first time in the state and we enjoyed learning about the food culture. 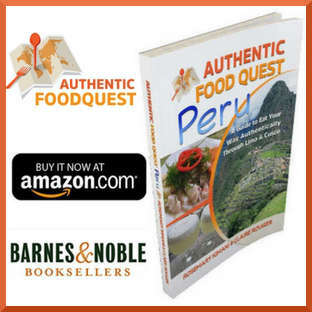 There is so much history and richness to the cuisine. What dishes do you miss from South Carolina? Cheers. It has been ages since I have been in South Carolina. It is great to find restaurants who practice farm-to-table. Always great to eat foods that are fresh and in season. In all my time in the south, I never did get a taste for grits. But I would love the buttered shrimp. It was great that you visited Myrtle Beach when it was not swamped with tourists. We would love the seafood there. She Crab Soup sounded interesting. If it’s been a while since you were in SC, a trip back is highly recommended. The fresh quality and farm to table practices are incredibly delicious. Myrtle Beach was a treat and the seafood was amazing. Grits grew on us and we loved the She Crab soup. Appreciate your feedback, Linda. Mission accomplished…glad we made hungry 🙂 If you haven’t been to the U.S., a trip to South Carolina is a wonderful stop to learn more about the culturally rich food. The food is divine and worth the experience. Thanks for stopping by. I just love chef Wesley Fulmer’s cooking philosophy! 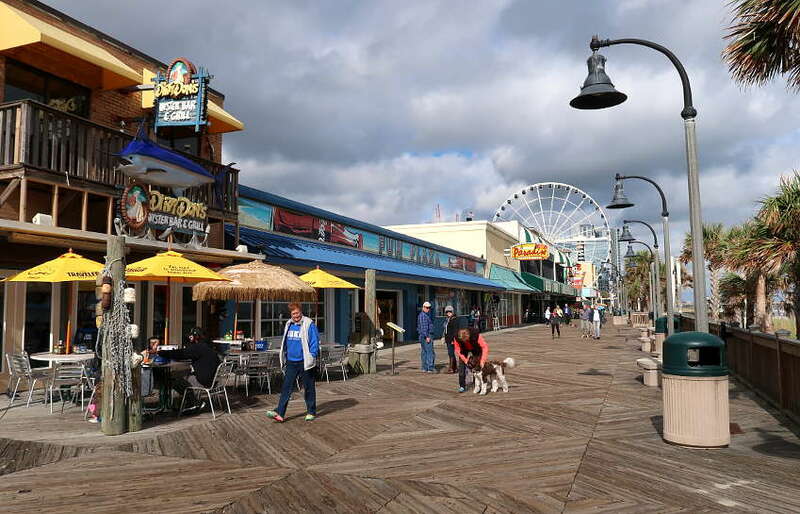 It’s rare to come by 🙂 And the Myrtle Beach boardwalk sounds like so much fun! 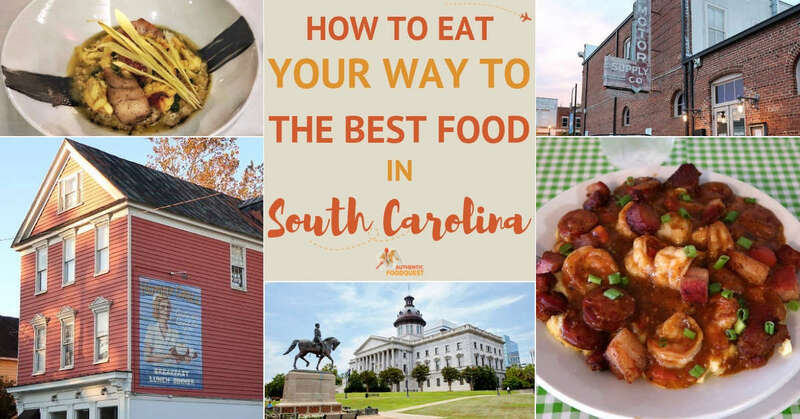 I loved reading about South Carolina’s past and how their cuisine is a reflection of it! Thanks Lisa, we were quite fascinated by the food history in South Carolina and the impact on the food. So glad you enjoyed that aspect of the article. Chef Fulmer was great to chat with and the food delivered in terms of tastes and flavors. Myrtle Beach is a lot of fun and a great place to explore the local seafood. Thanks for stopping by. You just introduced me to an area of the US that I knew very little about. Columbia looks like a beautiful city and I would love to walk the streets of Myrtle Beach and Charleston and sample some of the delicious dishes. The seafood from Myrtle Beach, like the she crab soup, looks especially appetizing. Travel and food are so inseparable. I see this being accentuated in your article on SC. The spread from Hook and Barrel looks completely delicious. I am drooling. Thanks, Nisha, glad you enjoyed the article. The fresh seafood at Hook & Barrel was outstanding. Highly recommend it for seafood lovers. Thanks for stopping by. I’m just curious if you liked the grits…? My grandmother was born and raised in the south and when we went to visit her she’d often ask if we wanted grits. I knew it was a traditional dish, but I never grew to like it. 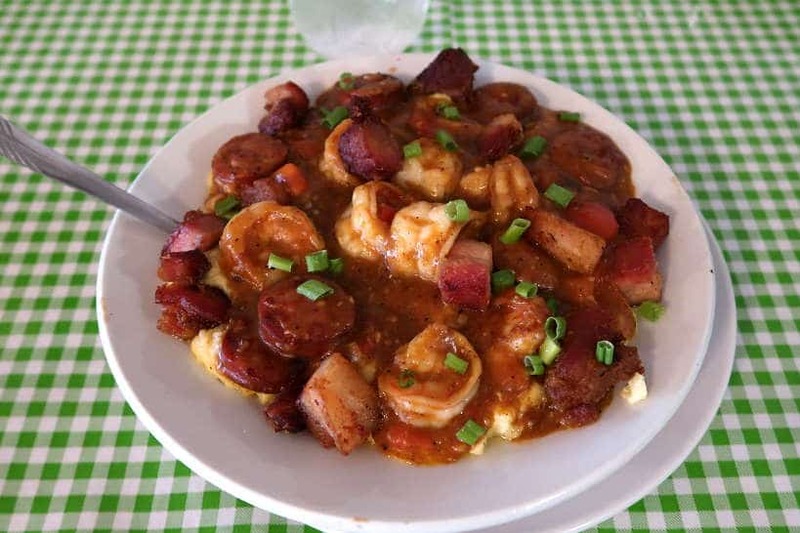 In your photo, the shrimp and sausage look amazing, but still, there’s those grits!! The Capital of columbia sounds like a big city foodies dream. Interesting that it is a popular place of millennials. You really did a complete foodie tour of South Carolina, all the major bases were tasted. Hook and Barrel in Myrtle Beach sounds like my kind of restaurant. I love sustainable fare, and love that they can boast the first sustainable kitchen in South Carolina, that is awesome. Thanks Sara, the trip to South Carolina was really a foodie’s dream. Columbia was quite delicious, our only regret was not having enough time to explore more. Hook & Barrel was a lot of fun, and the fresh and sustainable seafood elevated the experience. Hope you get a chance to visit South Carolina for yourself one day soon. You’d love it!